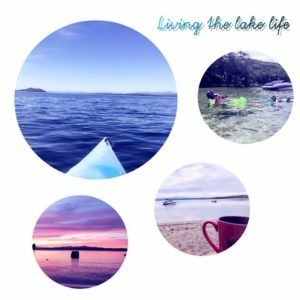 One of the questions I get asked the most is how I take the summers off, so I thought I’d answer that a bit for you in this post. The purpose of this content is about much more than just taking the summer off – or any extended holiday – it’s to help you get really clear on your plan for the next 6-12 months and beyond, what it’s going to be all about for you, both from a pragmatic view as well as from a big picture view. You likely know that I take 12 weeks off (half of June, and all of July and August) as vacation to spend it with my family at the lake where I spent my summers growing up. When I first decided that I wanted to be off for the entire summer, I had to figure out how to make that work and still run and grow my business. 1. I decided on what main projects I was going to focus on, two in total. 2. I decided what my VA would focus on, all the admin details that I didn’t want to be troubled with, but that I had a hard time letting go of beforehand. 3. I went through all my files and only brought those with me that I had to have to work on those 2 main projects. (As a back-up, I used a remote access program in case I had to get something on my desktop). 4. I clean up my laptop and rigged it for wireless. 5. I let my clients and customers know (more than once) that I was on vacation, that I would respond to emails but that it might take a little longer than usual, but that I was also living this model. Those were basically the things I did to get ready. Much to my surprise, because I think I was so busy-busy all the time that I wasn’t moving forward very quickly with anything and spent a lot of time putting out fires, I was actually MORE productive – and MORE profitable – during those summer weeks than I had been the previous 6 months working from my home office. 1. I chose two main projects to focus on that only I could do (writing my book and my membership program) and either let the rest go (absolutely nothing negative happened as a result) or delegated it. So I was really focused on my ‘genius’ work, which is what will always bring your more money sooner than focusing on fixing your website or other admin tasks you shouldn’t be doing. 2. I had scheduled work time. This was a biggee for me. At home, I worked when the kids slept (naptime or nighttime) and then all kinds of in-between time when they were playing by themselves or when Daddy was taking care of them. During those early summers of implementing this model, I only worked a total of about 2 hours a day, between pre-wake-up time and post-bedtime, 3-4 days a week. I get up at 5:30am and work for an hour or so before the kids get up, but that’s also my time to sit on the dock,watch the loons and write in my journal, and drink my coffee while it’s still hot. When I worked it was only on those one or two projects, and answering emails that were a priority, like those from Platinum clients. Anything else I did was a bonus. I wasn’t stressed at all, and when I was with kids, I was completely focused on them, not on the business. Since then, I’ve restructured my business so that I don’t offer anything ‘live’ with me while I’m off for the summer, my coaching and training programs end around Memorial Day weekend, and the only work I do over the summer is write the personal note in my ezine each week. Almost everything else is done and queued up before Memorial Day or is delegated to my team to take care of while I’m off. There’s quote a bit more to it than this, of course, but if you’re seeking to take more time off, whatever time of year it is and for whatever reason, this should get you thinking about the first steps to take so you can do it too. 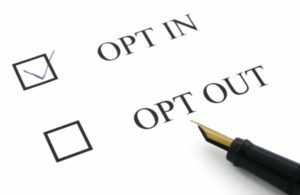 Is your main free content opt-in in need of a refresh or replacement? Here are 5 simple steps to creating a fresh and compelling opt-in. Before you create a new free content opt-in, be sure it’s something your audience wants. If you don’t know what that is, just ask them. Tailor the question to your area of expertise and use the answers you get to help spark ideas for your new freebie. – Do a simple survey that asks 1-10 questions using a survey tool like Survey Monkey. This allows you to ask more specific questions to elicit more specific responses – very cool! Tip: To entice people to share their thoughts with you, offer them a free gift for answering your question or taking your survey. It’s also a nice way to say thank you for their time. Once you know the topic of your freebie based on your research, it’s time to write it. (Even if you’re filming a video, you’ll still need some form of written content to to help your viewers consumer your content – plus it doubles as your script). I find the easiest way to create new content is to write an outline first, and then fill it in. How about a simple outline to follow? Remember to keep it short so your reader actually consumes your content. Once you’re done writing your content, decide how to package it for your subscriber. If design is not your forte, use Canva, Designsta, or Fiverr. If you’re creating a stand-alone opt-in page, I highly recommend (and use for all my opt-ins) Leadpages. Yay! You’ve done the hard work, so now it’s just a matter of letting your market know your fresh and compelling opt-in is available. The first thing I like to do is send it to my existing list (it’s a surprise bonus to them for already being on my list) and share it in my paid program groups. I’ll ask them to share the opt-in page with their circles as well. Then we set up an automated system for sending the URL to the opt-in page on a consistent basis so we can consistently build my list. There you have it… 5 simple steps to creating a fresh compelling opt-in! If this was helpful, I’d love it if you’d share it using the buttons below – thanks so much! At my live event, I talk about the Comfortable Minimum (which I’ll write about in a future post). Mediocre Middle struck me as a place where it’s not comfortable but it’s sustainable with very little effort. It’s not extraordinary, but ordinary. It’s vanilla versus wild berry walnut with salted caramel drizzle. Something that is mediocre is only midway up a mountain or rises up to only half a mountain’s height—the thing goes just halfway to the highest point of excellence. When we don’t have a high level of enthusiasm for what we do, or we lose our enthusiasm for our business, we get stuck at or start sliding down into the Mediocre Middle. And, my friend, it’s a slippery, slippery slope. If this is resonating, here’s your 4-step protocol for getting out of the Mediocre Middle. In the spirit of Marie Kondo’s decluttering advice, first, make a list of all the offers and income streams and activities, etc. you do in your business. For each one, ask yourself if it sparks joy, and if it doesn’t, thank it for its service and delete or delegate it immediately. For example, if running your online course no longer brings you joy, it’s time to let it go and make space for something that does. Or if populating your social media platforms with content doesn’t float your boat, delegate it to a capable assistant. What’s left should only be the things you truly enjoy offering, leading or doing. 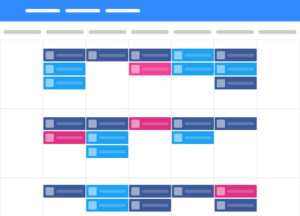 Organize and prioritize them into your newly-opened space, both physically in your office, on your computer, and on your calendar. Just a note here: Ideally, there should be no ‘sometimes’ or ‘maybes’ on this list. If your business is in transition from one business model to another, there may be some ‘not yet’ items on your list to let go of, so for those, commit to an exit plan and a date when you plan to be done with them for sure. Now that you’ve pruned your business, it’s time to take a close look at your marketing message and make sure that it still aligns with what you offer to the world and to whom you offer it to. Part of being in the Mediocre Middle is having a marketing message that’s only ‘half-way up the mountain’. Make your message more succinct, more impactful and more specific to your market, and then refresh or create a new opt-in to further lift you to the summit. One of the fastest ways to move from the ordinary to the extraordinary is to take a stand for your message and your market and to speak publicly often about it. You don’t need to shout it from the rooftops. Even quiet stands can have great impact. The point is to have one. Ask yourself: What do you believe it? What are your values? What do you know to be true? What would you go to the mat defending? What’s your philosophy as it pertains to your business, your life, even your purpose on this planet? Once you answer those questions for yourself, start sharing more about your answers with your market. What will happen is that more of your perfect people will start finding and connecting with you, and your audience will grow much more easily. Truth-telling time: Are you in the Mediocre Middle? 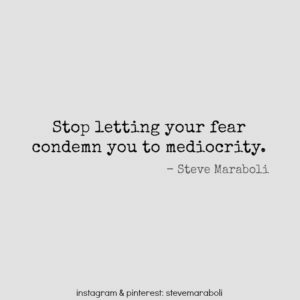 If you are, what are you willing to do to move out of mediocrity today?